Doug Pettibone is probably most well known for the time he spent touring and recording with Lucinda Williams, but his musical career runs much deeper than that. He studied guitar under Andy Summers, formerly of The Police, and graduated from college with a triple major in jazz guitar, classical guitar and voice. 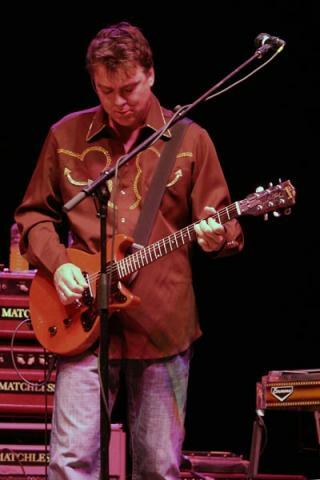 He then toured with Jewel and Tracy Chapman before joining Lucinda Williams as multi-instrumentalist, vocalist and music director. He has also recorded with Keith Richards, Elvis Costello, Mark Knopfler, Sting and many other music legends. 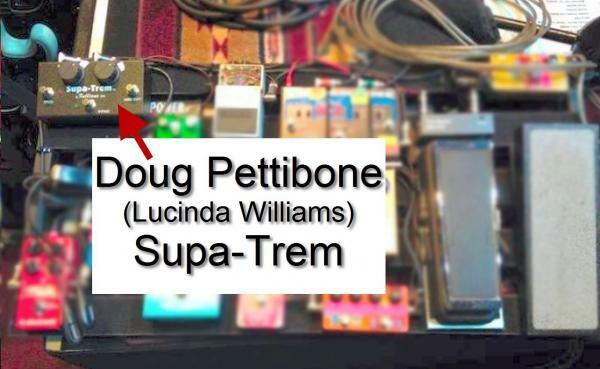 An accomplished musician, Doug obviously knows good tone, as evidenced by the Fulltone Supa-Trem on his pedalboard.